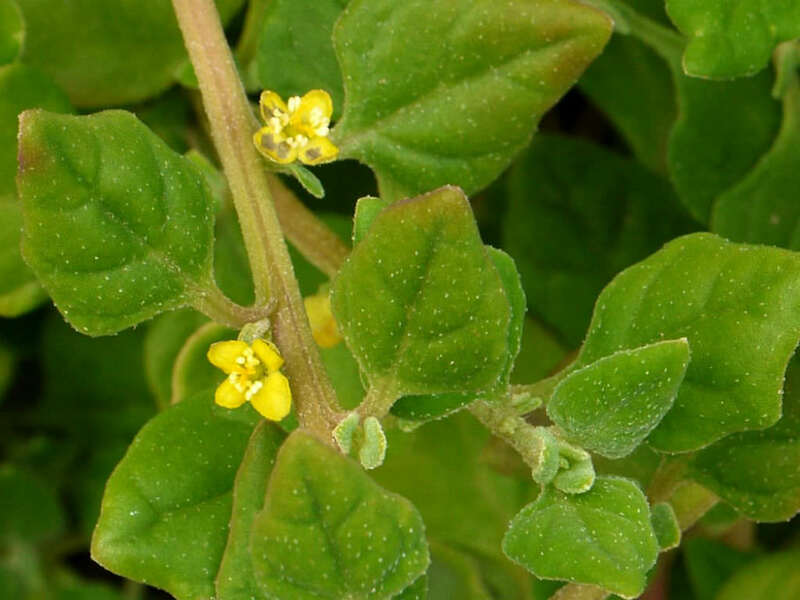 Tetragonia tetragonioides is a leafy, succulent groundcover up to 8 inches (20 cm) tall. 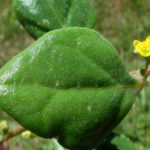 It has a trailing habit, and will form a thick carpet on the ground or climb through other vegetation and hang downwards. 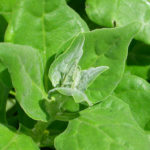 The leaves are up to 6 inches (15 cm) long, triangular in shape, and bright green. 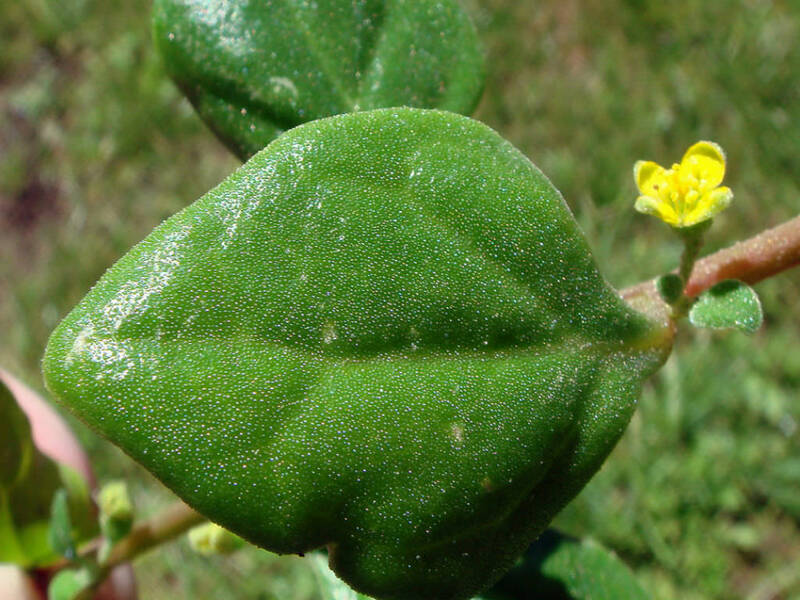 They are thick, and covered with tiny papillae that look like waterdrops on the top and bottom of the leaves. 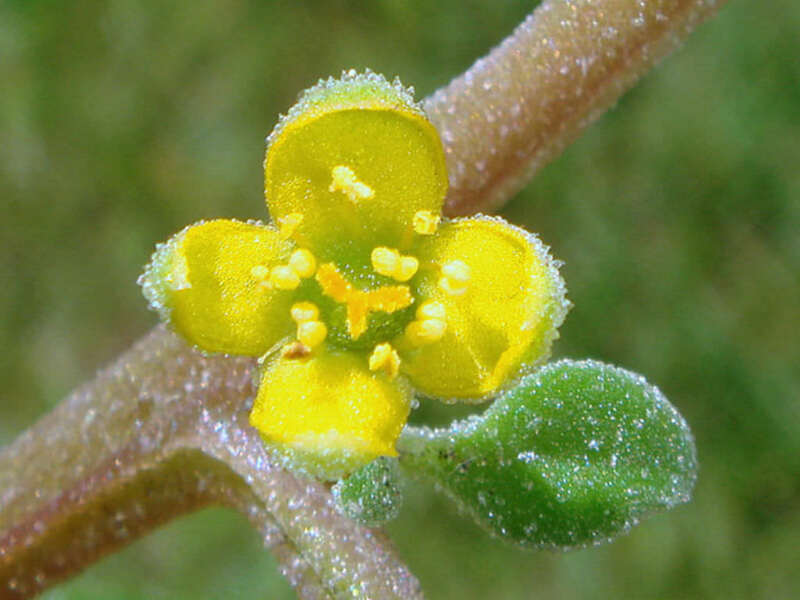 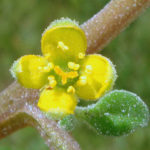 The flowers of the plant are yellow, and the fruit is a small, hard capsule covered with small horns. 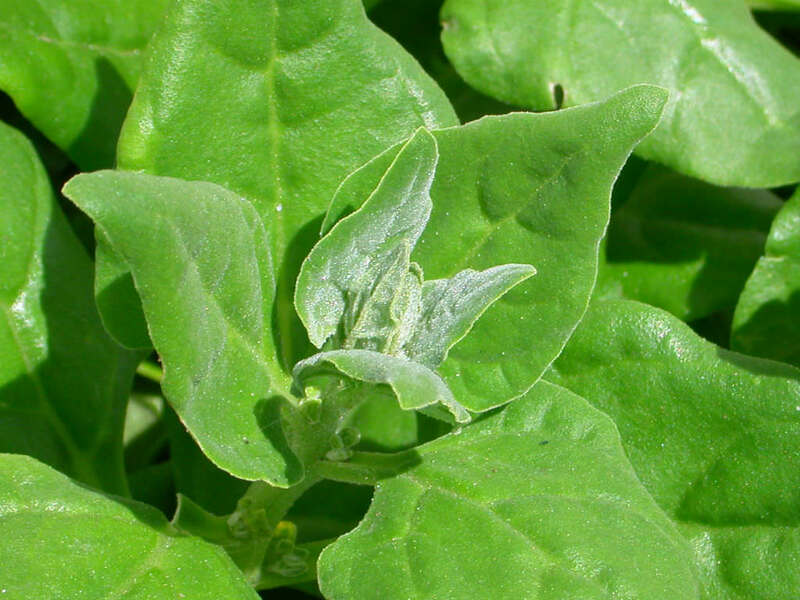 Native to Argentina, Australia, Chile, Japan, and New Zealand.